Considering it’s on our doorstep, France and specifically North France is a little undiscovered for some of us Brits. 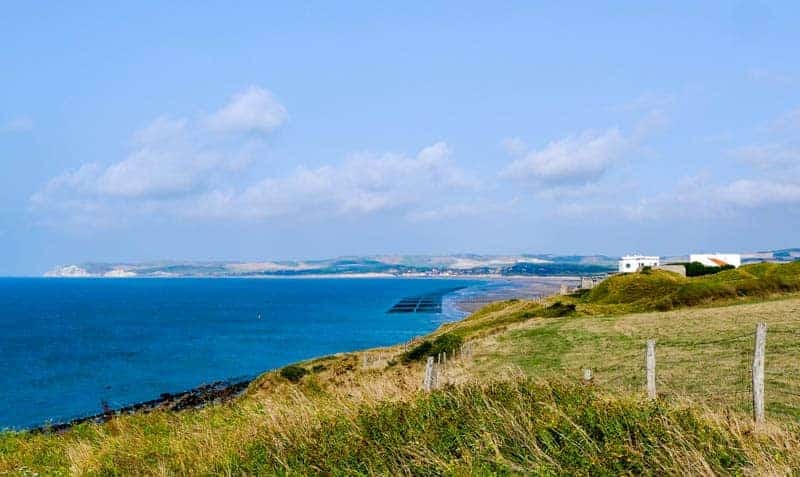 So, when I started talking P&O Ferries about being a part of their #WhatNext campaign, I was excited to explore what the North Coast has to offer. Naturally, I wanted something, or somewhere that offered some adventure. And you know what? I found it a little difficult to find useful info about what was on offer and where, so that led me to this article, here’s what I found. 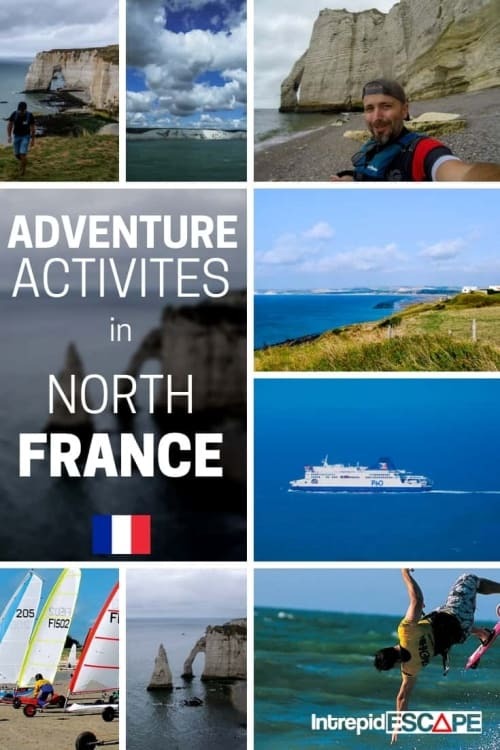 Frustratingly during my research, I’d find cool things to do that were not in Northern France, Google would list websites that were all of France, or central France. So, for arguments sake, I’m just referring to North France. For this article that’s the coastal area or anywhere within one hour’s drive. That was because I was travelling from Dover to Calais with P&O Ferries, so I didn’t want to go too far. I was travelling by car, and road tripping it, my favourite way to travel. You just can’t beat a flexible itinerary and a car full of supplies. More on ferry travel later. 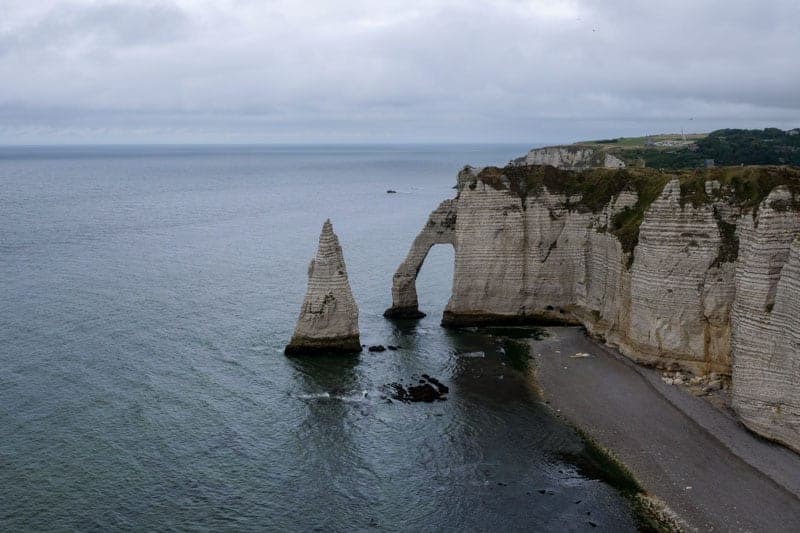 The first place on my list was Étretat, I’d known about this place before my research, and it was the only place I was certain to visit. As part of the What Next campaign, my Instagram followers would vote one of two choices, often it was close, and I could generally get an idea of which way they’d go. I gave the option of Kite-Surfing in Houlgate or Surfing in Étretat. I heard the waves here are perfect for beginners, and that’s me. I’ve done it a handful of times, stood up a few times but that’s it. 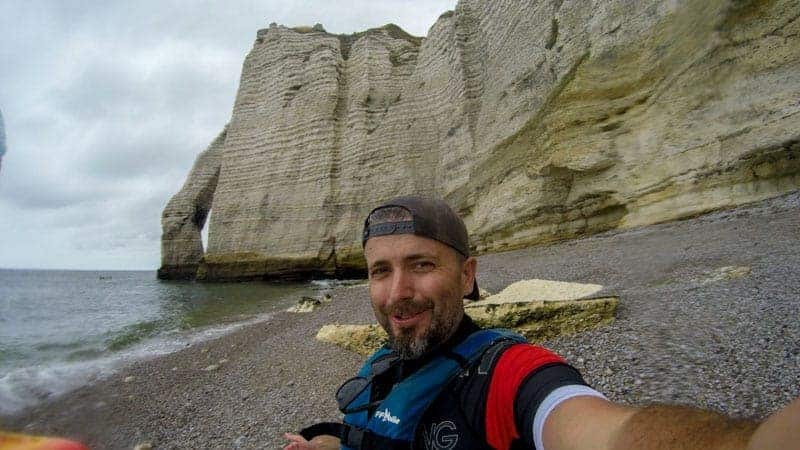 However, surfing wasn’t meant to be, despite checking the surf the day before, there were no waves in Étretat that day, which led me to explore other activities, no bad thing. 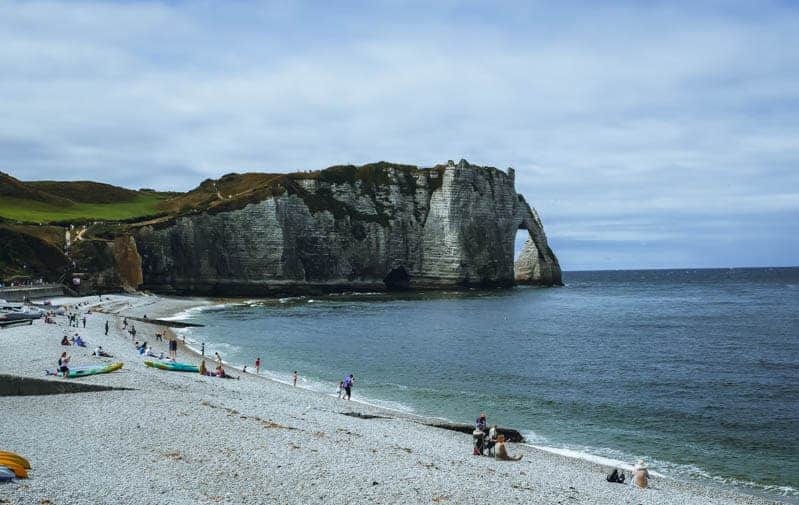 If you’ve never been Étretat is known for its stunning chalk cliffs, and the archway that overlooks the pristine beach. Surfing in front of that would have been great, but kayaking through it, even better! It only took 15 minutes in a single kayak to get to the arch, pass it and find myself on the private beach between the two giant rock formations, brilliant. On the way back the weather picked up, the wind was crazy, so be careful, it flipped my kayak, but thankfully all I lost were cheap sunglasses (the GoPro made it). To see this on video, head to my Instagram Highlights! 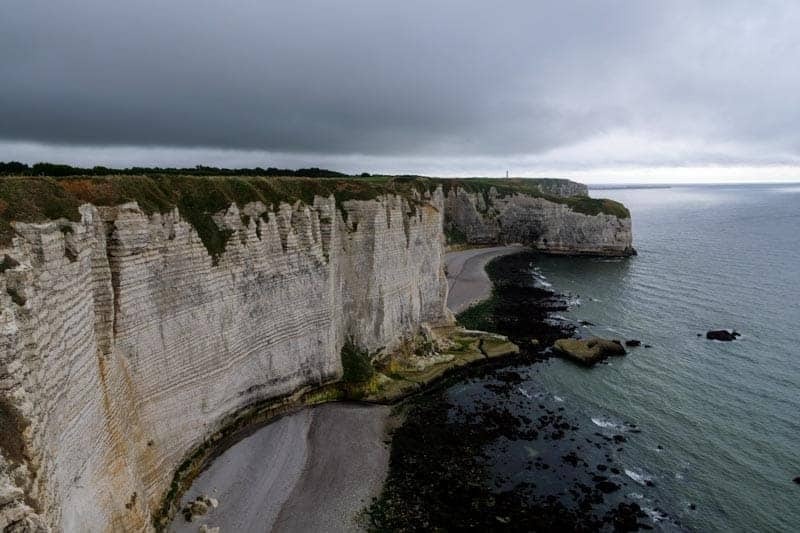 Finally, if you come to Etretat, you must hike around the cliffs. I say hike, it’s more like a walk but still. Allow plenty of time because there’s several photo spots and the further away from the beach you get, the more secluded it is. The North Coast of France is very popular with kite-surfing, and you’re a little spoilt for choice when it comes to where to do it. My pick was Houlgate, but there are several places you can choose from. For example, near Ouistreham or further west close to Cherbourg or Coutances. Kite-surfing is something I’ve never tried, and I’ve been told you’ll need a couple of days to begin to master it, but it looks such great fun once you do. For Kite-surfing options in Normandy check out their hand map feature here. And look out for an article coming soon, where I learn to Kite-surf in Morocco with pro kite-surfer Tom Court! Set on a big lake, Eole Aventure is a park close to Caen with so much to do. I set my Instagram followers the What Next of wake-boarding behind the wire or the big slide jump. They choose the latter, which I was at first a bit disappointed with as I really wanted to wake-board, but it was a lot of fun. This is park that caters for the whole family, with an inflatable aqua-park, the wake-boarding, zip-lining and paint-balling. Sand Yachting (or Blow Karting) is an activity that has the same principles (and sail) as wind-surfing, but you’re in a 3-wheeled kart! For this you need a lot of space and flat firm sand, so where you can do it is limited, but it’s great fun. Dispite this you can still find them all along the north and west coast of Normandy, take a look at the handy map feature here to see where is most convenient for you. The national park that seems to go by many names! Whatever you want to call it, there are two peaks, viewpoints of caps here, both of which are worth walking. There’s a nice hike between the two, if you have a few hours of the whole day. For Cap-Blanc Nez (the Eastern cap) you can park either at the top or the bottom. I chose the bottom for the exercise and to feel like I earned it, this is the tougher walk of the two, and in my opinion the better 360 views. For Cap Griz-Nez you can’t park that close but it’s a much easier walk. There are so many other activities that could have their own paragraph in this article, such as kayaking, sailing, wind-surfing, surfing (I’ve only mentioned Etretat, but there are so many more), paint-balling or even horse riding. 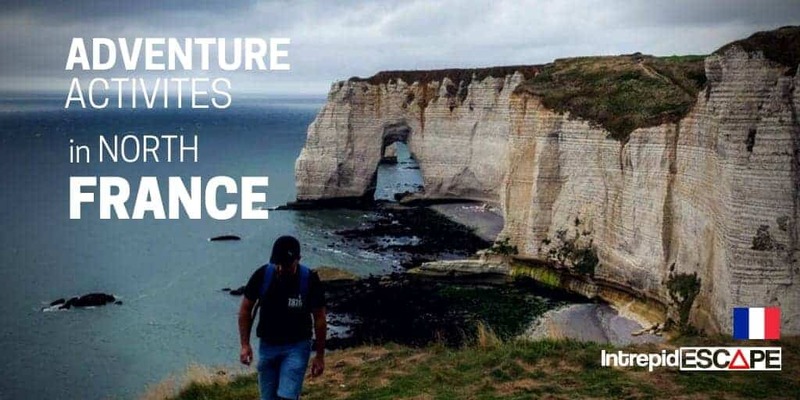 Once you cross over to Normandy use the Normandy Tourism website as a first port of call for adventure and activities, it’s great. And if you’re into your photography, you must stop by Mont Saint-Michel, no matter how touristy it can get. 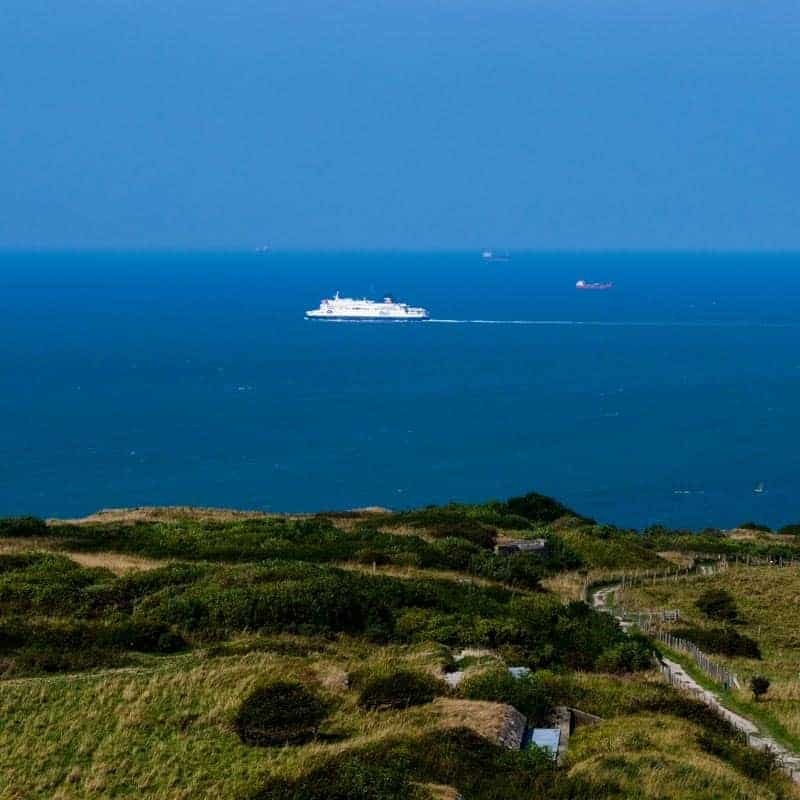 I love travelling to France by ferry, the flexibility of having my car with me and the short and easy route from Dover to Calais with P&O Ferries, makes this trip a breeze. It’s amazing that once you arrive in Calais, Europe is quite literally on your doorstep. From festivals, cycling routes, or even countries like Belgium, Holland and Germany (to name just a few). You can take anything you want with you, from surf boards to tents. In fact, I took my tent in case I ended up at a festival, and I did – check out the campaign below. In this exciting campaign I let my followers on Instagram decide #WhatNext during this trip, giving them 50/50 voting options on Instagram Stories and quite literally watching my phone to see what I’d be up to. The first was exploring the Two-Caps National Park or the town of Arras, the National Park won. The next day surfing at Etretat beat kite-surfing in Houlgate, although I had to kayak as there was no surf, but that was a great way to see the coastline. Then came Eole Aventure where the Intagrammers picked the human slide, and finally it was voted I’d be heading to the festival Rock en Seine, which took me away from the coast and to Paris. Talk about needing to be flexible, and that’s what ferry travel is all about. 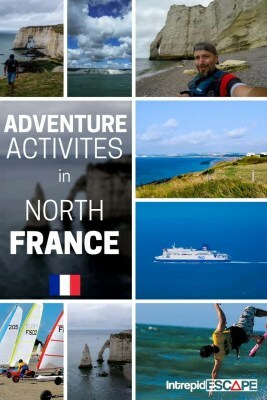 Have you been to the North of France? What was your highlight? I’d love to hear about it in the comments below. Thanks for your wonderful article, This list is awesome!